EmeraldCityEDM | Kygo: Endless Summer 2014 Tour with Amtrac, Ticket Giveaway, & 2nd Show Added! Kygo: Endless Summer 2014 Tour with Amtrac, Ticket Giveaway, & 2nd Show Added! Kygo: Endless Summer 2014 Tour with Amtrac & Ticket Giveaway! 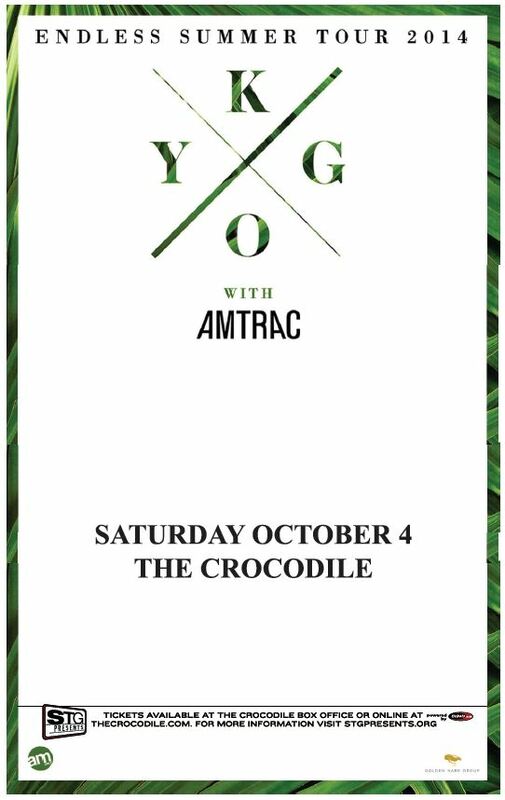 STG Presents Kygo “Endless Summer” tour at the Crocodile in Seattle on Saturday, October 4, 2014, with Amtrac. Note that Thomas Jack will also be appearing on the Tour, but is not scheduled to perform at the Seattle tour date. About Kygo: Hailing from Bergen, Norway, at only 22-years-old, Kygo, is a musical talent gifted beyond his years. Supported by Diplo and the Weeknd, the past few months have seen the young star rise, turning in chart topping tracks, from taking on the likes of Ed Sheeran, M83 and Kyla La Grange. With his roots in classical piano training and a desire to deliver unique sounds inspired by the the refreshing summer rays and carefree spirit of the summer-tide, Kygo is a climbing young talent with a repertoire of new music he is ready to present to the world over the next few months. *Purchase tickets in person at the Crocodile box office to save $ on service fees. 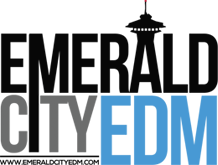 Don’t forget to stay up to date on upcoming EDM events in the Seattle area by following the EmeraldCityEDM Event Calendar, and enter to win free tickets to local EDM shows on the Contests & Giveaways page.